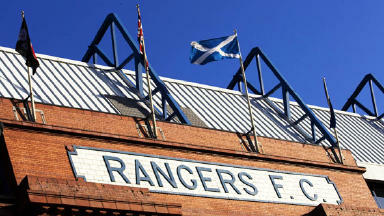 The governing bodies will have to decide whether to allow the newco to inherit Rangers' guise. 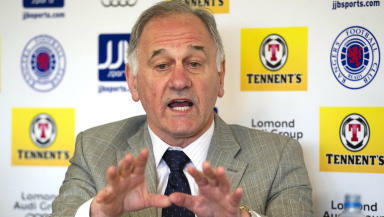 Charles Green says he has applied to the Scottish Premier League and Scottish Football Association to begin the process to transfer Rangers’ memberships to a new company. The businessman completed his purchase of the club’s assets on Thursday, transferring them to “The Rangers Football Club”. Rangers’ stadium and training ground are now owned by the company but permission is required from both the SPL and Scottish FA for the new club to participate in football in Scotland. Clarification is also required on the rights of the club’s players, who will see their contracts automatically transferred to the new company under TUPE regulation. The legislation states the freedom for any employee to refuse to have their contract of employment moved to the new company, but there is a grey area over what would happen to each player’s Scottish FA-held registration. The governing body are awaiting word from FIFA over where players would legally stand and could make a statement on Thursday evening. The first hurdle the new Rangers club will have to overcome is seeking permission from the Scottish FA to have the old company’s membership of the organisation moved to the new business. Article 14 of the Scottish FA’s articles of association states the board “will have the complete discretion to reject or grant such application on such terms and conditions as it may think fit”. 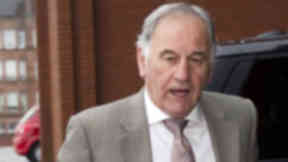 The governing body has so far refused to confirm it has received an application from Green for the membership to be transferred. The Scottish Premier League are also yet to confirm whether they have received an application to consider the transfer of Rangers’ member share in the league to the new company. Once notice has been received, a 14 day period is required before clubs convene to vote on whether to transfer the share, allowing the new club to participate in the SPL next season in Rangers’ place. An 8-4 vote of all 12 of the league's clubs is required for the transfer to go through. The owner of Rangers' SPL share, which is currently administrators Duff and Phelps, is entitled to vote on Rangers' behalf in the ballot. If refused, the new club would not take part in the SPL and would be required to look elsewhere to play football. An application to join the Scottish Football League’s Third Division would then be likely, with a vacancy opening up at the bottom of the Scottish football pyramid. There is no guarantee the SFL would accept them into their league, with any vacancy open to bids from any club currently outwith the senior league structure.